Classically styled reverse living designed and build by Rob Musgnug. 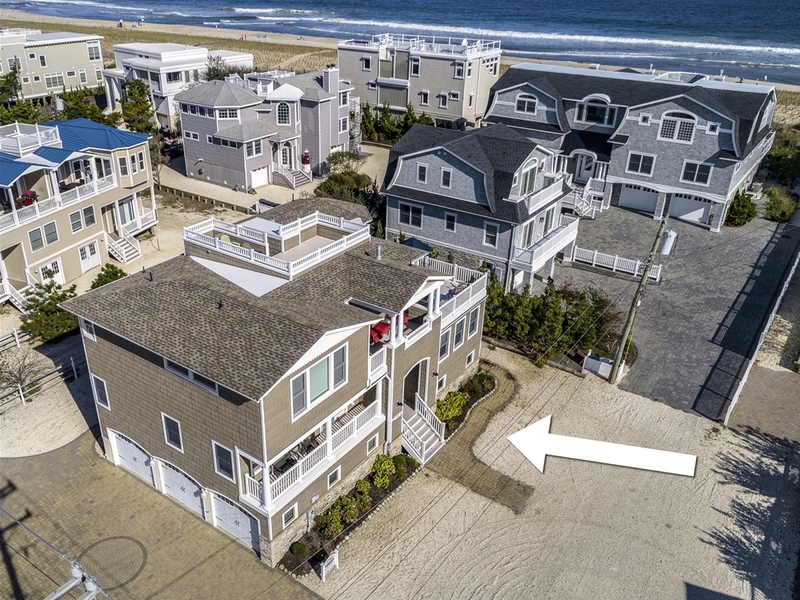 Fantastic ocean views, this luxurious home boasts 4,000 square feet of living space including 3 separate living rooms, 5 bedrooms, 4 full bathrooms, and 2 half baths. Enjoy sweeping views from any one of 5 decks including the hot-tub ready roof deck. You’ll find all the amenities you need for easy beach living here including an elevator, 2 laundry rooms, 2 refrigerator/freezers and 2 wet bars. 3 car garage and ample parking for guests and entertaining. Sold turnkey with freshly painted interior and all interior and exterior furnishings, kitchen supplies, towels, linens, etc. Over $150,000 in rental income for 2018 season. Rentals currently reserved for 2019 season but not executed, so the option is yours. Interested in learning more about this property? Complete the form below.